As many of you may know, we have been supporting technology innovation and incubation hubs across Africa over the last 18 months. According to the Africa Hubs Crowdmap there are some 70+ hubs of various types across the continent. These range from technology hubs and business incubators to hackerspaces and university tech labs. In essence, they are places where geeks, techies, developers, coders, hackers and entrepreneurs can come together to work on problems, products and solutions that utilise ICT. While each hub varies, they frequently offer services such as training (in mobile app development, for example), business advice and mentorship, office facilities, high-speed internet and an uninterrupted power source. More than anything, though, they are places where like-minded people can meet to exchange ideas, collaborate and create products. In most places, hubs like this are a recent phenomenon and so, in some ways, are untested and untried. At Indigo, though, we believe they offer a real, viable and sustainable way of increasing capacity within Africa’s booming technology industry. HiveColab (Kampala, Uganda): Hive Colab is an open community collaborative innovation coworking space for the tech community of Uganda. It offers a collaborative space where people can meet, learn from one another, share knowledge, find mentors, start and grow their businesses. It supports both social and business innovations from just an idea to a full scale operating business. They offer business and legal advice, as well as tech training and events. They are currently supporting a number of start-ups, including an initiative that allows citizens to report on water and sanitation problems, a social education platform, healthcare information management system and another aimed at helping SMEs keep track of their budget and expenses. Co-Creation Hub (Lagos, Nigeria): CcHUB is Nigeria’s first open living lab and pre-incubation space designed to be a multi-functional, multi-purpose space where work to catalyze creative social tech ventures take place. The HUB is a place for technologists, social entrepreneurs, government, tech companies, impact investors and hackers in and around Lagos to co-create new solutions to the many social problems in Nigeria. It is currently supporting over 20 entrepreneurs and has a very strong focus on social good. ActivSpaces (Buea, Cameroon): Working in the Cameroonian town of Buea, but currently expanding, ActivSpaces is an open collaboration space, innovation hub and startup incubator for African techies. The team there are currently working on a number of projects and offer important contacts and links to investors and technology leaders. iLab (Monrovia, Liberia): Working in the difficult conditions of Monrovia, iLab Liberia is a non-profit computer laboratory providing access to cutting-edge technology, expert IT assistance and a community leveraging technology for the good of Liberia. iLab offers free training courses in contextually relevant technologies that are open to the public. iLab also hosts tech events and serves as a meet-up space for a range of tech enthusiasts and professionals. It also boasts the fastest public internet connection in the country. BongoHive (Lusaka, Zambia): BongoHive’s three main pillars are innovation, creativity and sustainability. The pioneers working in BongoHive want to bring innovation to the world of economics, business, entrepreneurship, health, education etc. They describe themselves as out-of-the box thinkers that know new ideas need nurturing and support, who believe that results are more important than ideas and that the capacity to endure and outlast ‘here-today-gone-tomorrow’ products and services is crucial if Zambia’s fledgling tech industry is to survive and thrive. KINU (Dar es Salaam, Tanzania): KINU is a social enterprise with the mission of concentrating, growing and accelerating the Tanzanian tech and social landscape. It offers industry meet ups and events, high-speed internet, data storage and backup, ICT workshops, app testing facilities and much more. RLabs (Cape Town, South Africa): RLabs is a global movement whose mission it is to: create an interaction space for collaborative design, creation, dissemination and application of knowledge; develop and empower champions in communities through innovation; give hope and make a difference; and be leaders in innovation continuously adding value. They currently operate a social enterprise Innovation Incubator and Accelerator (InnovIA), which is working with six teams of young entrepreneurs working on issues such as open government data, public transport information and tech news and views. RLabs (Hargeisa, Somaliland): A partner of the original RLabs, RLabs Somaliland offers a number of services including a Community Academy where new ideas and young entrepreneurs will be provided with training in areas such as software development, entrepreneurship, social and new media, mobile application and web development, an InnovIA like the one in Cape Town and product and service development. iHub (Nairobi, Kenya): The original African tech hub, iHub offers pretty much everything Nairobi’s tech community could want from high-speed internet, training events, access to venture capitalists and investor networks etc. RLabs (Windhoek, Namibia): Beginning life as part of the Namibia Business Innovation Centre, RLabs Namibia now offers a full range of training and events for all those interested in ICT. Typically, for an RLabs branch, its Innovation Incubator and Accelerator provides tailored support and facilities to turn that great idea into a fully fledged and profit generating enterprise. iSpace (Accra, Ghana): This new hub will have to cater for all of Accra’s burgeoning techies – we think they are going to be very busy! The hub will have all the usual services – desk space, events, mentoring, meeting rooms – needed to create a buzzing hive of tech activity for Ghana. joziHub (Johannesburg, South Africa) This urban hub has big ambitions and is well placed to connect with some of the real movers and shakers in South Africa. With this in mind, Indigo’s funding has helped to establish a transparency and accountability stream at the hub which should connect the technical know-how with the civil society organisations looking to safeguard and strengthen democracy in South Africa. Hypercube (Harare, Zimbabwe): This new space will enable entrepreneurs to invent, prototype, develop and test emerging products, develop new business models and services and create sustainable entrepreneurial opportunities which are aligned to Zimbabwean needs and context, extending to the region and beyond. kLab (Kigali, Rwanda): kLab (knowledge Lab) is a unique open technology hub in Kigali where students, fresh graduates, entrepreneurs and innovators come to work on their ideas/projects to turn them into viable business models. The growing kLab community is also made of experienced mentors who provide both technical and business assistance to its members. kLab also hosts events, workshops, bootcamp, hackathons and networking sessions to promote collaboration/partnerships, investment and financing. SwahiliBox (Mombasa, Kenya): This is one of the first hubs Indigo is supporting outside a capital city. Swahilibox believes the potential of Kenya as a technology hub lies in not having a centralised focus around Nairobi but to encourage other parts of the country to participate. Their aim is to encourage and strengthen an innovative culture, and engage local entrepreneurs and innovators to develop solutions to the challenges faced by the people of the Kenyan Coast. xHub (Addis Ababa, Ethiopia): Addis Ababa’s xHub Innovative Society is an open space for IT entrepreneurs, innovators, technologists, investors, tech companies and coders in Ethiopia to develop their tech idea into a product. They offer fast internet, access to experts and materials in a variety of fields, a comfortable, creative place to work and access to training sessions and workshops. mHub (Lilongwe, Malawi): Malawi’s first ever technology hub. An incubator for technology startups with a special focus on building young technology entrepreneurs through training, skills development and mentorship, mHub was set with a goal to enhance youth development in business and technology by creating a platform through which knowledge is shared and skills are transferred in ICT and business entrepreneurship. Sensi (Freetown, Sierra Leone): Building a tech innovation community in Sierra Leone’s capital, Sensi’s mission is to create an open community space where technology and entrepreneurship intersect, to build the next generation of innovative solutions and businesses in Sierra Leone. EtriLabs (Cotonou, Benin): EtriLabs is the first tech innovation space to open its doors in Benin’s largest city, Cotonou. Co-working, innovation and encouraging women into tech are just some of the activities being promoted by this Francophone hub. 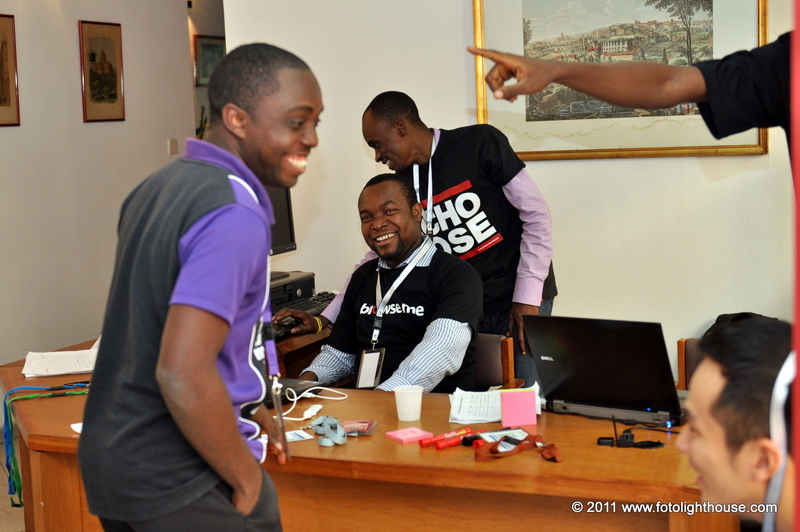 HapaSpace (Kumasi, Ghana): HapaSpace provides a venue for members to get creative, collaborate and inspire one another. Regular events allow members to build networks, work together on projects and learn from experienced tech and business practitioners. HapaSpace offers a social entrepreneurship programme, demo nights, startup events and training sessions. IceAddis (Addis Ababa, Ethiopia): Offering a co-creation and event space, IceAddis focusses on collaboration between techies, young entrepreneurs, investors and people from creative industries. 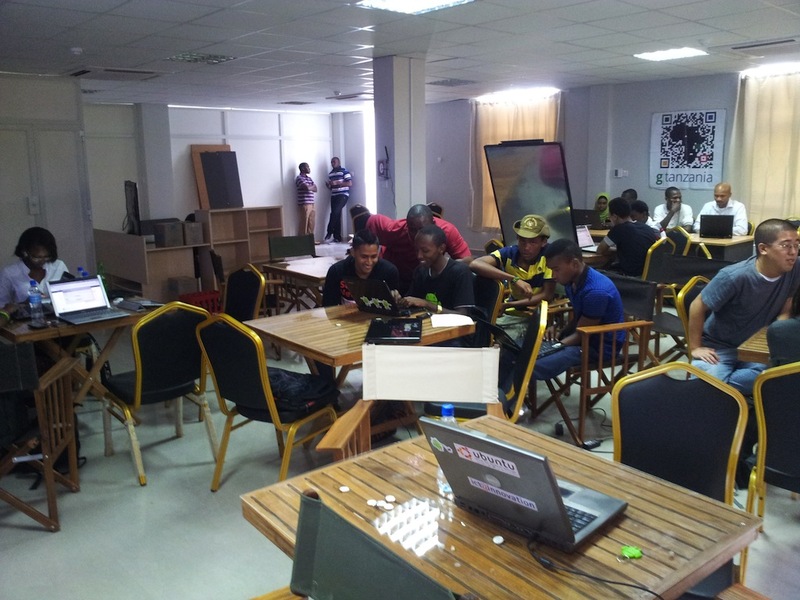 It provides a convenient working space as well as workshops, hackathons and training. IceAddis has a focus on advocacy for the growth of the tech-community, policy change and higher education. The above hubs are ones that we are currently supporting, but there are plenty of others across the continent from Senegal and Cote d’Ivoire to Rwanda and Madagascar. All of them are working to improve the technology community in their countries and provide a focal point for training, learning, research and development.